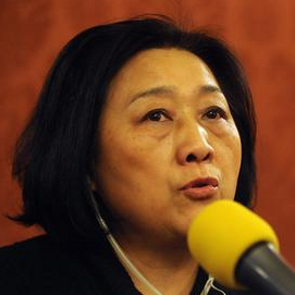 Gao Yu is an outspoken journalist and prominent advocate of press freedom who, prior to her sentencing in 2015, previously spent time in prison for her support of the Tiananmen protests in 1989 and for articles she wrote in Hong Kong publications in 1993. In 1989, as deputy editor of a liberal weekly magazine, Gao Yu ran a series of reports on the student protests and urged the government to reach a compromise with the protesters. On 3 June 1989 she was detained and jailed for 15 months. She was released early due to heart problems. In 1993 Gao Yu was arrested again and the following year sentenced to six years in jail, this time on a 'leaking state secrets' charge in relation to articles she wrote for Hong Kong publications focussing on policy decisions of the Chinese Communist Party. Gao Yu denied that her writings involved state secrets and the decisions had already been published by other Hong Kong based media. She was released eight months early from this sentence as a result of poor health. Chinese HRDs face intimidation, harassment, house arrest, abductions, torture and imprisonment. Despite President Xi Jinping's repeated emphasis on 'rule of law', human rights lawyers are routinely subjected to various forms of surveillance and pressure, including harassment, house arrest and imprisonment. Many of the most well-known human rights defenders in China are lawyers who have been punished by the state for attempting to hold authorities accountable to the country's own laws.